Get the accredited certification recognized worldwide as the global standard for professionals in Digital Marketing & Sales. Join 32,500+ members who are now certified in Digital Marketing & get one of the 150,000+ Digital Marketing jobs currently in demand! 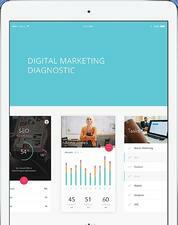 Get the skill set required to qualify and compete as a talented Digital Marketing Professional the industry demands. Enroll in the Certified Digital Marketing Professional (CDMP) accredited online training course, created by the Digital Marketing Institute (DMI), along with Xcellimark’s 19+ years of award-winning digital marketing experience. You want to take your company to the next level with highly-trained & talented employees that have the skill sets to quickly improve your bottom line. You want to change your career, boost your opportunity for a promotion, or increase your salary in your current marketing position. 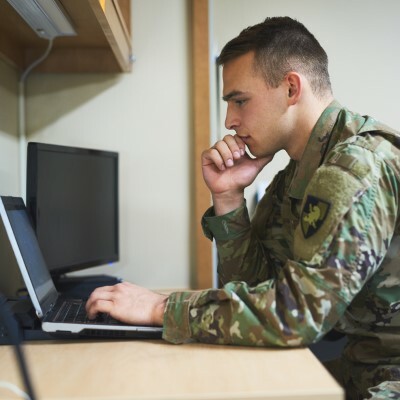 You are an active-duty or veteran military service member looking to maximize your career opportunities as you transition out of the military. Results show that those who make the move to get professionally certified are more likely to secure lucrative and rewarding digital marketing positions. received a job promotion at their company after earning their professional certification. received an increased salary after earning their professional certification. say the professional certification has had a positive impact on their career. NOTE: This is not a “quickie” course that claims you can learn Digital Marketing in a few hours, promises a “certificate” at the end of the course, and then declares that you are a trained professional Digital Marketer. This is a serious course for those with serious career aspirations. 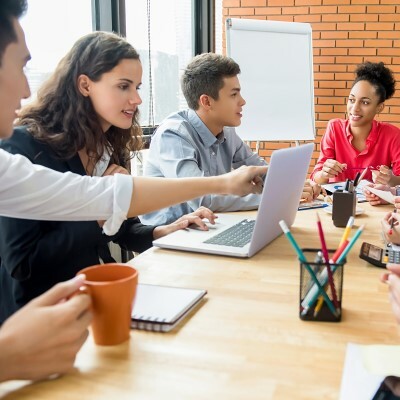 DMI's certification program was created in collaboration with industry experts in companies including Google, Facebook, IBM, LinkedIn, Coca Cola, Microsoft, HubSpot, and many more, which form the Global Industry Advisory Council (IAC). The IAC ensures the course syllabus and training content provides students with the most in-demand digital needs, skill sets, knowledge, and competencies required to build the global digital economy. Your Digital Marketing certification gives you an in-depth understanding of how to effectively strategize & implement powerful campaigns optimized for conversions. From social media marketing to search marketing, you’ll learn & practice everything you need to secure & excel in your Digital Marketing career. In this first module, you are quickly exposed to the core principles and purposes of digital marketing so you can understand their impact on business today. You'll discover the critical role of developing a digital marketing plan and the importance of setting clear goals and objectives that are actionable, attainable, and accountable. You will learn the impact that research has on preparing digital marketing plans to build a foundation for successful marketing campaigns. 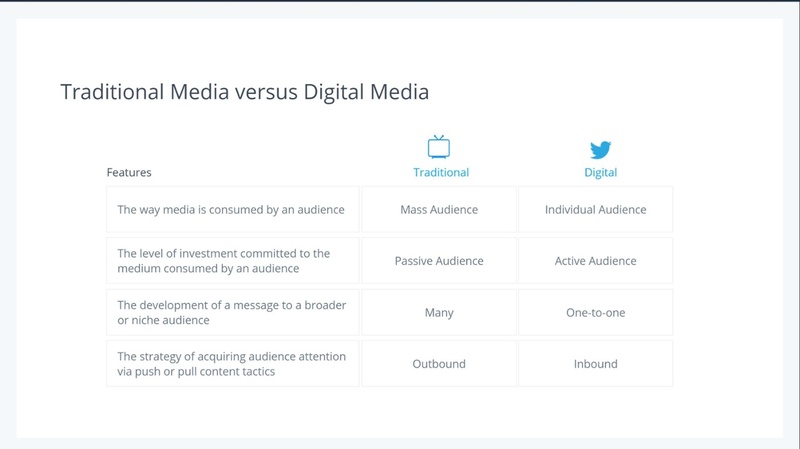 You'll learn about the difference and the values of both inbound and outbound marketing to see how traditional marketing strategies can work in concert with digital tactics to provide concrete results. See how a marketing plan uses SMART objectives, digital research, and social listening to gain insight into competitors, target audiences, and relevant industry trends. In this module, you will learn the foundational principles of content marketing including content creation and curation. The training demonstrates how to extend content marketing value using scheduling tools and digital promotion methodology. You will discover the importance of aligning content with the buyer's journey to turn prospects into customers. This module will guide you through the process, skills, and knowledge to not only plan, but to execute a persona-based, data-driven content marketing strategy. 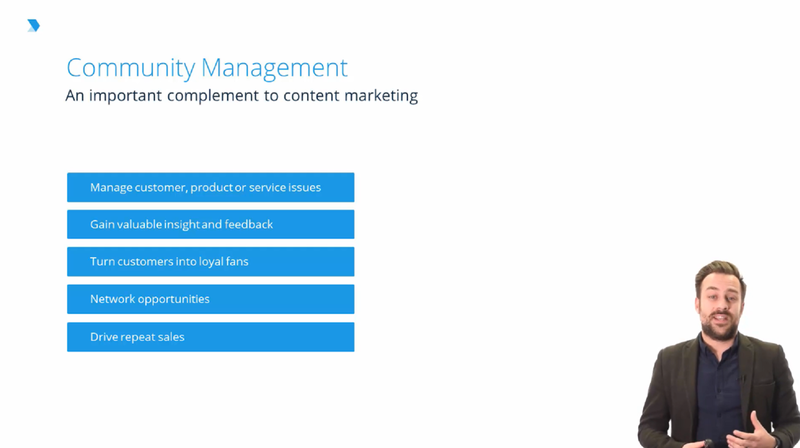 You will also examine the tools and key metrics used to evaluate a content marketing strategy. This module is designed to help you learn the techniques and best practices for building and engaging social media followers. It demonstrates how you can create effective paid advertising campaigns on the key social media platforms critical to a client's success. You will better understand how to build, manage, and sustain a social media community that is active and responsive. We'll also take a deep dive into how to extract data from the various platform's native analytics tools to gain better insights into the effectiveness of social media campaigns. For some, search engine optimization is the Holy Grail of digital marketing. It is the knowledge that leads to the organic top of search engine listings using researched keywords and phrases. 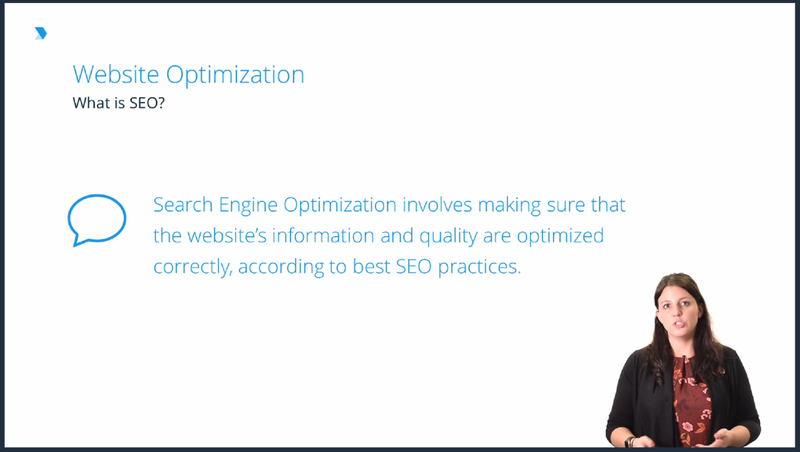 This critical module starts by providing insight into how search engines work and the fundamentals of optimization. 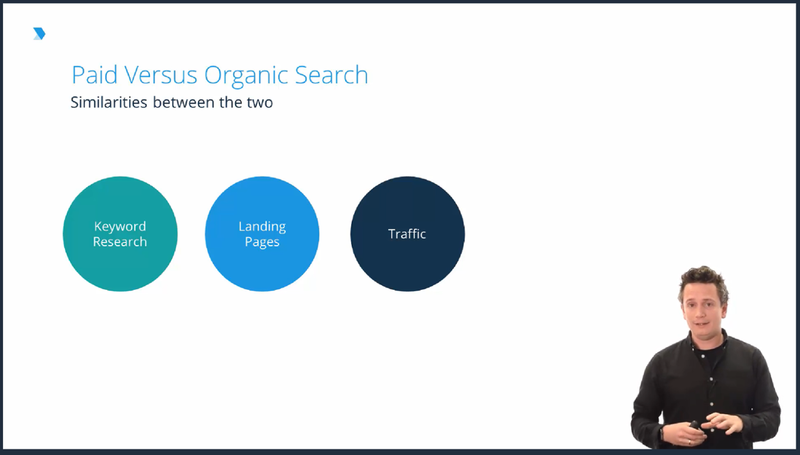 The SEO modules explain the importance of aligning SEO objectives with business objectives and how to implement a keyword strategy and use competitor research to attract and engage a target market. 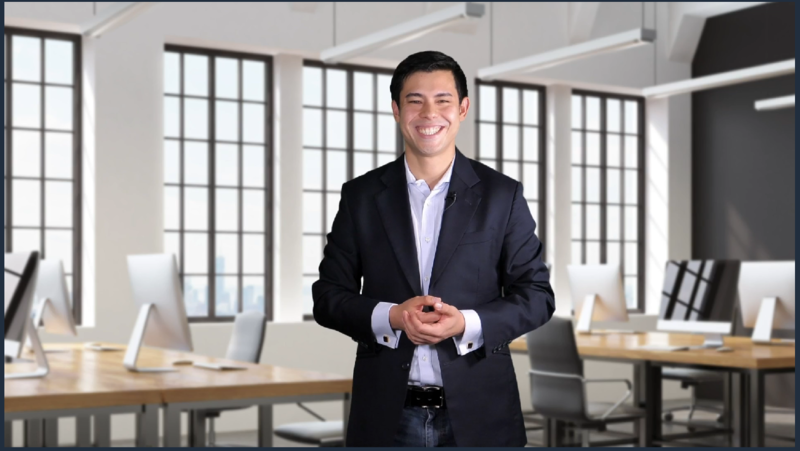 Along with attracting an audience, this segment focuses on how to boost online conversions by standing out in the highly-competitive digital realm, providing clients with the best possible return on investment. 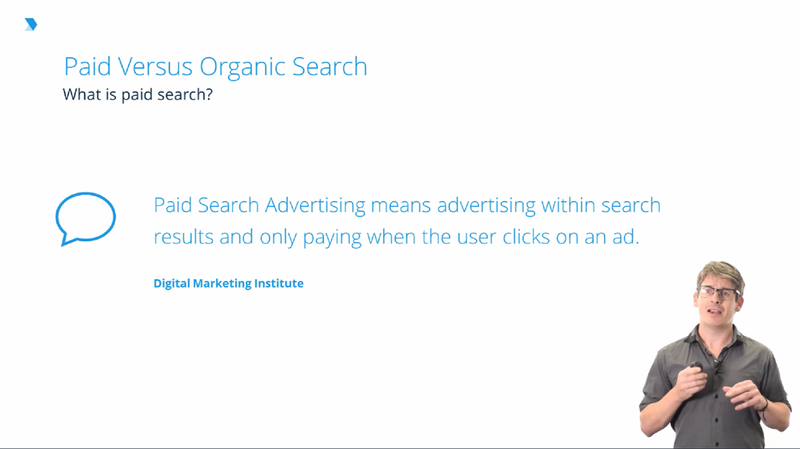 You'll start this module by exploring the benefits and fundamentals of pay-per-click (PPC) campaigns. It demonstrates how to implement and manage paid search campaigns using Google Ads, teaches key concepts underpinning bid auctions, and explains how to manage paid advertising budgets. In addition, you'll learn how to optimize paid search campaigns, conversion tracking, and how to measure and report on the performance of paid search campaigns using Google Analytics and Google Search Console. This exciting and educational module addresses the fundamentals of display and video advertising. In it, you'll learn how to set up and manage a YouTube channel and the various ad formats within the Google Display Network and YouTube. 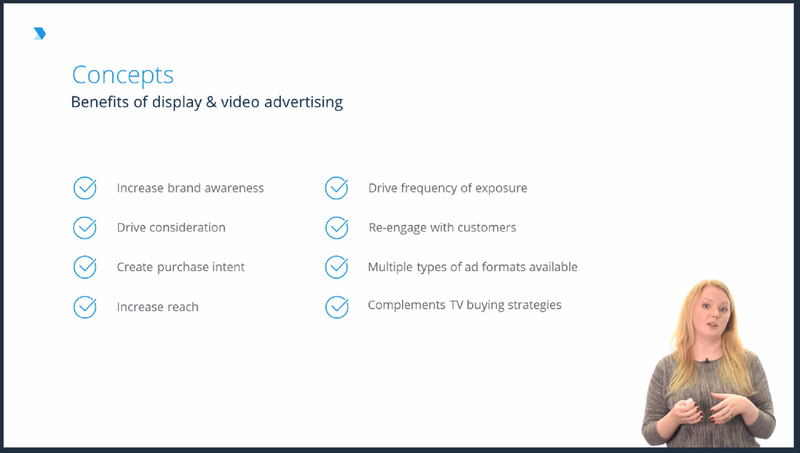 You'll see how to set up and maintain powerful display and video campaigns. 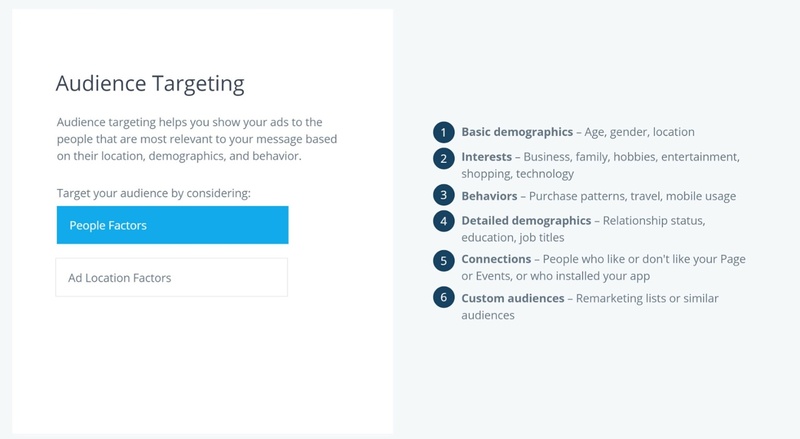 You'll learn about audience and contextual targeting, exclusions, and remarketing. You'll learn how to target display and video ads to your desired audience. Once completing this module, you will be well-versed in identifying the key metrics and tools to analyze the effectiveness of these potentially powerful campaigns. 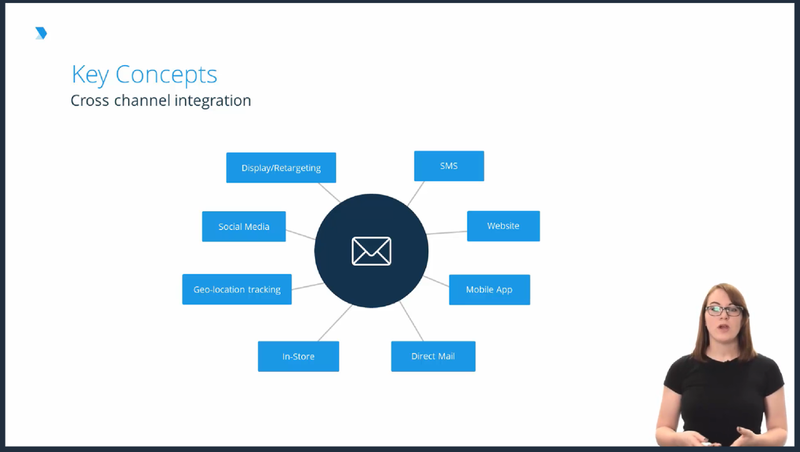 You'll start this module by learning the basics of email marketing. You'll explore how email timing, personalization, segmentation, and engagement impacts the success of campaigns. The module delves into regulations and best practices of email marketing. You'll become proficient in using essential tools, tactics, and techniques to manage subscriber lists and to create effective designs. This module also explains the value of testing and optimizing email campaigns to maximize open and click-thru-rates. In addition, you'll learn the value of using automation tools in producing effective email marketing campaigns. It is one thing to have an attractive website. It is quite another to have an attractive website that actually gets noticed. Module 8 teaches the key concepts involved in effective website design and the value of website optimization. You'll learn how to construct, publish, and optimize a simple, attractive website using WordPress to achieve specific business goals. Upon completion of this module, you'll understand website design principles and the value of superior copy. You'll see how to use A/B testing along with exploring the User Experience and User Interface in creating exceptional websites. This Website Optimization module includes insights on how to use metrics to capture, track, and measure website activity. The Analytics module starts with gaining an understanding of the fundamentals of web analytics. You'll understand the legal responsibilities and best practices related to collecting data, consent, and privacy. Students learn how to draw logical and actionable conclusions from website and marketing channel data. This module shows you how to set up Google Analytics and install tracking codes on a website to track traffic. You'll explore the benefits of setting campaign goals and how to use analytics to measure how successful you were at achieving your goals. One of the most attractive aspects of digital campaigns is that they are measurable and accountable. This module teaches you how to use Google Analytics reports and features to track and analyze digital campaigns. In this module you'll identify the core components of an effective digital marketing strategy. You'll learn how to develop a budget and measure the ROI for digital campaigns. It will teach you how to set clear, actionable objectives and how to use Key Performance Indicators (KPI’s). You'll discover the research activities you should perform to help make appropriate channel selection and messaging. This module also explains diverse creative strategies and how you can use research to engage the best audience you are trying to reach. Finally, you'll know how to execute a successful digital marketing strategy employing a channel plan, paid media plan, and a campaign action plan, all through succinct strategy documentation. We host online office hours every week where we devote all our resources to help you get through your training. Our graduates can request to receive a personal letter of recommendation from Xcellimark to help boost your career. You have the opportunity to submit a guest post to get published and recognized on our blog. Students can schedule a personal consultation with Xcellimark to get help adapting your new-found knowledge to your specific business market or job. Graduates get the chance to skyrocket their career by applying to plan, launch, manage, and run an entire marketing campaign for Xcellimark! Our students get access to an exclusive online community that connects you with Xcellimark, fellow students, alumni, and groups to collaborate, ask questions, and have conversations. We highlight our student and graduate accomplishments to Xcellimark's entire community through email, social media, publications, and connections so you get the opportunity for more exposure to boost your career. All Active Duty Military members and Veterans get a discounted price for any of our digital marketing training. We are here to support our military as they transition to new opportunities in the job market. As a graduate, you will receive personal job recommendations following certification from Xcellimark. Our students will also receive mentorships and numerous opportunities to be promoted, recognized, and seen throughout the industry.